This cardio-focused workout is sure to get you sweating and burning calories by using superset exercises (two exercises back-to-back). Incorporating a bosu ball adds variety to a workout by creating an unstable surface, which forces you to brace your core to stabilize yourself during the exercises. This workout contains two bonus cardio sessions to get your heart rate up even more! Exercises target full body (quadriceps, hamstrings, glutes, shoulders, biceps, triceps, and core). 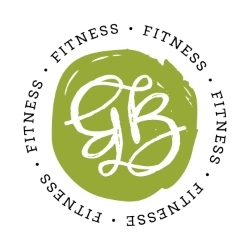 Equipment needed: Treadmill, bosu ball, and a lightweight body bar (between 12-18 pounds). WARM UP: Walk for 10 minutes on an incline on a treadmill between levels 5-6 at 3.0 mph for 10 minutes. SUPERSET 1: Repeat the entire superset three times. --Squat with lightweight body bar (leave bosu ball to the side): Complete 15 repetitions. --Bicep curl with body bar while standing on the bosu ball: Complete 15 repetitions. Embrace your core while standing on the bosu ball! CARDIO: Complete two 30-second intervals of mountain climbers by supporting yourself on the bosu ball in plank position. SUPERSET 2: Repeat the entire superset three times. --Static lunge with back foot on the bosu ball behind you (aim to place the back foot on the middle of the ball). Place the body bar vertically on the floor and hold it out in front of you for stability (beginner or intermediate levels), or place it on the soft part of your upper back to add resistance (more advanced). Don't forget to alternate legs! Each set should include 15 repetitions on both legs. --Upright row standing on bosu ball: Complete 15 repetitions. CARDIO: Alternate feet by doing fast foot taps on the bosu ball for two 30-second intervals. SUPERSET 3: Repeat the entire superset three times. --Hip bridge with feet on bosu ball with body bar across lap to add resistance: Complete 15 repetitions. --While still in hip bridge position, tricep press (keep your glutes lifted the entire time): Complete 15 repetitions. COOLDOWN: Walk for 5-10 minutes to bring your heart rate back down.